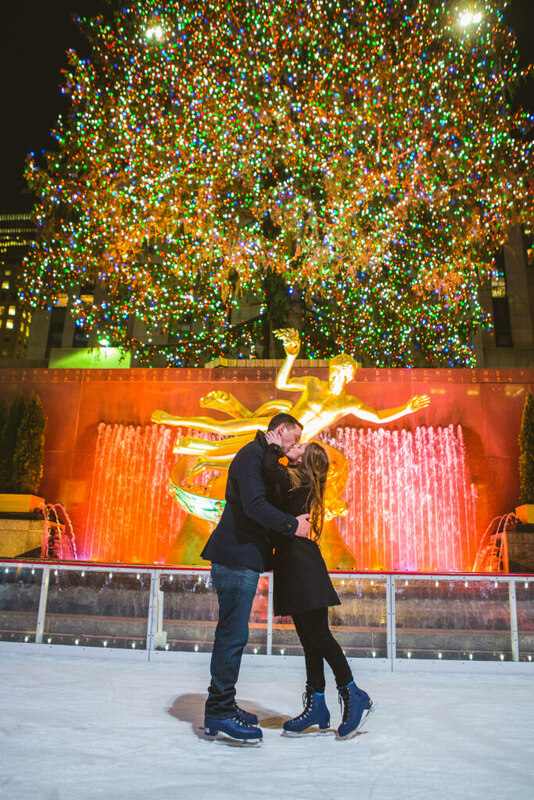 Amazing marriage proposal right in the middle of the Rockefeller Center ice skating rink. 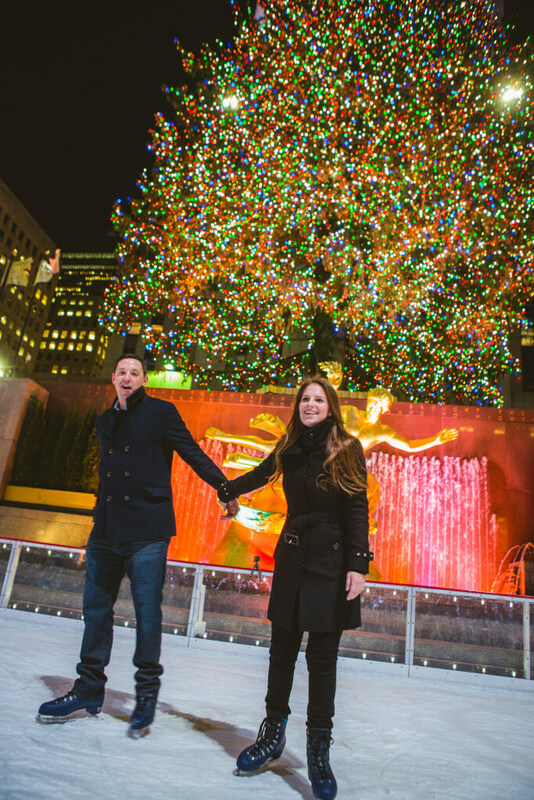 Matt invited his girlfriend for a date at the Rockefeller Center, they walk around the plaza making pictures by the Christmas tree as Matt suggested to ice skate at the rink downstairs. 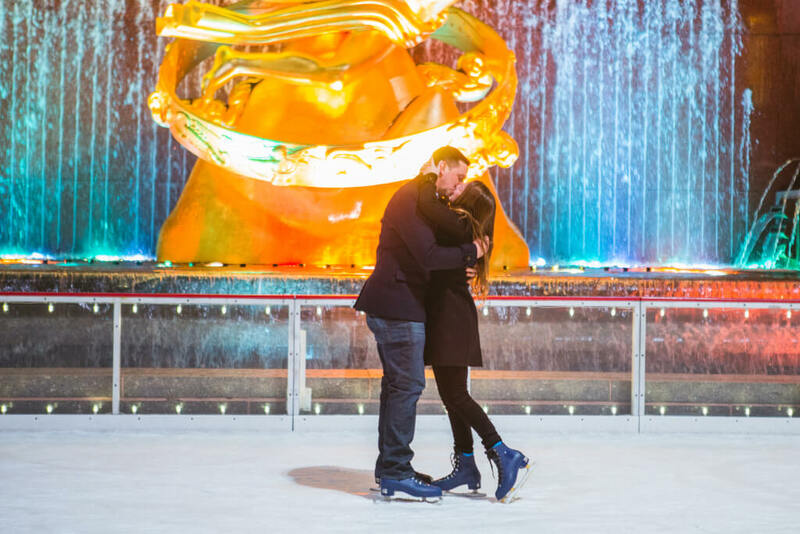 So with no suspicious at all Lauren accept the idea and they went to the ice skating rink. ” I swear i hear my moms voice”, she was saying while they skate. All of a sudden all the people disappears from the rink and her favorite song starts to play. 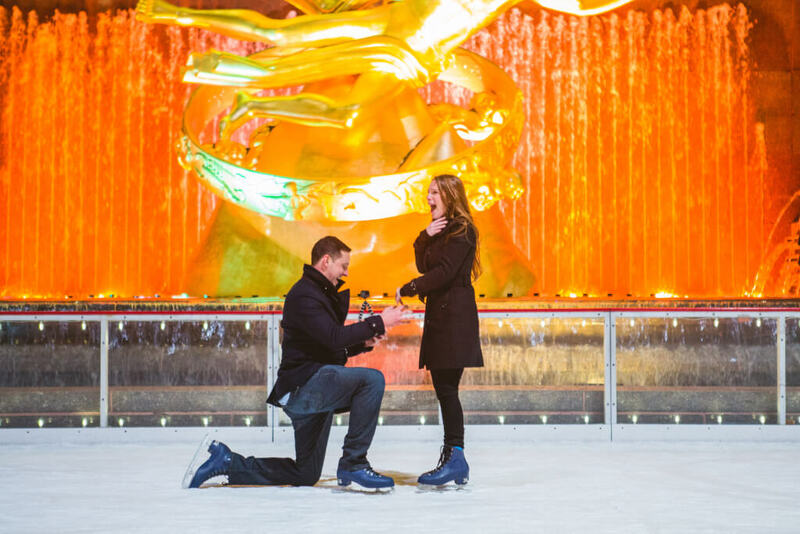 She couldn’t believe her eyes, when Matt get on one knee and ask her to marry him. 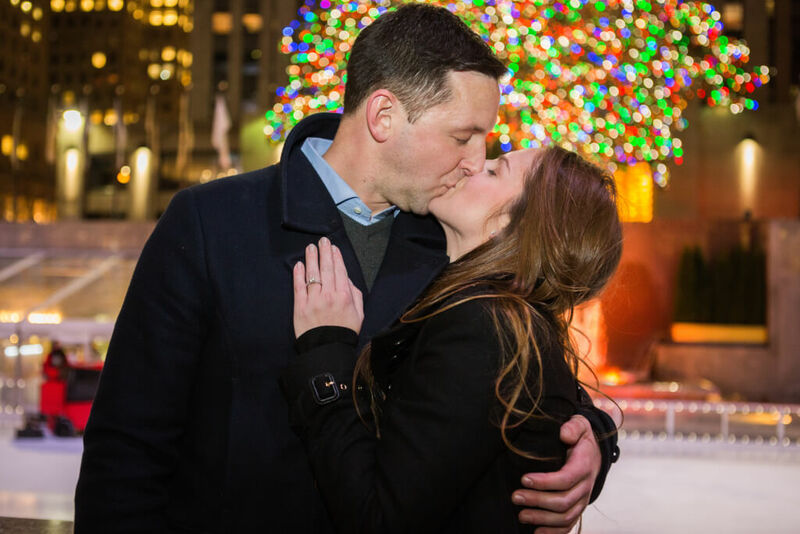 Her whole family started to scream when she said YES.